Acne can be one of the most frustrating, embarrassing skin conditions and it can affect people of all ages, from teenagers to grandparents. 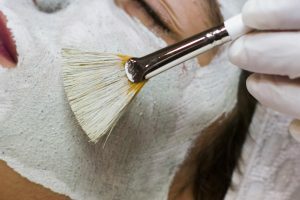 Treating acne-prone or active acne skin takes experience, knowledge and a great deal of patience. Treating acne is not only one of our specialties, but our passion as well. We take the time to really get to know you and your skin to help guide you towards clear skin by combining in-office treatments, dietary and supplement guidelines, and a home care regimen created just for you. If you are under the care of a Physician, we are experienced in working parallel with the doctor’s orders to help enhance your acne protocol. Our acne solutions include a comprehensive consultation, in-office treatments and detailed home care protocol. The acne products are designed to treat a wide array of acne skin conditions, from the basic hormonal breakout, to addressing comedones, papules, pustules, and painful, stubborn cystic acne. The acne treatment products we carry are powerful, yet contain safe and effective ingredients such as Alpha Hydroxy and Beta Hydroxy Acids (AHA’s and BHA’s) including Salicylic Acid, Glycolic Acid, Mandelic Acid, Lactic Acid and Lipo-Hydroxy Acid, just to name a few. Together, we can help you to reveal your healthy, blemish-free skin underneath!